FindItMore | If you are thinking about renovating your house, then it is not necessary to get your walls redesigned or to install new furniture in your space. You can do this difficult task just by adding and eliminating some home decor items. In this blog, we’ll discover all about choosing the right crystal chandelier and its types. How to find the right chandelier for your dining room? If currently there is no chandelier in your dining room, then her are a few ideas to consider. It doesn’t matter if your dining room is casual or formal, you can pick the perfect crystal chandelier from the hundreds and thousands available in the stores. Especially for dining room the options are endless, like drum shades, crystal designs, traditional wrought iron, and many more. So, the first thing that you have to consider is the size of the crystal chandelier for your space. This completely depends upon the height of the ceiling and the size of the table. You can follow the thumb rule; you just have to measure the diameter of the chandelier, as it should be half the breadth of the table. For example, if the width of your table is 48 inches, then the diameter of the chandelier must be between 24 inches and 30 inches. The clearance of the chandelier from the table should be between 34 inches and 40 inches. Full lead crystal: These crystals contain the highest lead content and this provides them more shimmer and colour refraction. Hand cut crystal: These crystals are cut and polished manually and thus, the colour contrast that they offer is great. You can even find some forms of hand-cut crystal which are polished like wood and widely used with designs of Crystorama chandeliers. Swarovski elements: These crystals are manufactured n Austria and provides the best shimmer and contrast of colours. Also, they are the most expensive one, thus you have to check the affordability while buying chandelier with Swarovski elements. Spectra crystals: These crystals are also manufactured by the Swarovski Company, but their price is more affordable. You can say that these are a good alternative for costly Swarovski elements. Italian crystals: These crystals are antique and due to the molding, you can find them in various shapes and sizes. These crystals are very economical; therefore you can easily buy them without any worries about the cost. You can check out various traditional and old chandeliers dresses with these crystals. The style of chandeliers that are available for you: There are various forms and styles available for your traditional, contemporary and modern space. Traditional crystal chandelier: These chandeliers usually have a brass or gold finish and provide an antique look. Those with gold plating last long, offer deep shine and proffer resistance to corrosion. But, yes the chandelier with gold plating will cost you more, but if you want your chandelier to last long and stay durable for years, then this can be good choice. You can find these chandeliers making home beautiful for decades. So, if you want your children or grandchildren to enjoy royalty, then buy a gold plated one. Modern chandelier: They either come with silver plating or are polished with chrome to offer a more contemporary look to the homes. In the last few years, chandeliers having a rectangular and spherical shape have merged a chic design for the contemporary home decor lovers. You can place them over your dining table or above the kitchen island in order to make your space up to the minute. Crystal chandelier in Foyer: As per the height of the foyer, you can pick the chandelier which is suitable, like for a two storey hallway having the height of 18 feet or above, you can choose any chandelier with length between 60 feet and 72 feet that has at least 15 to 20 bulbs. Chandelier in living room: Here also the size of the chandelier is the most important factor. For the room with high ceiling, you can get a grand chandelier, but choose the number of bulbs wisely. For the room with low ceiling having height between 10 to 12 feet, you can buy a chandelier with diameter between 24 inches and 32 inches. Bathroom chandeliers: To add some elegance and charm into your bathroom a crystal chandelier would definitely be a good choice. Kitchen chandeliers: two small chandeliers would surely work best to make your kitchen look more powerful and smart. 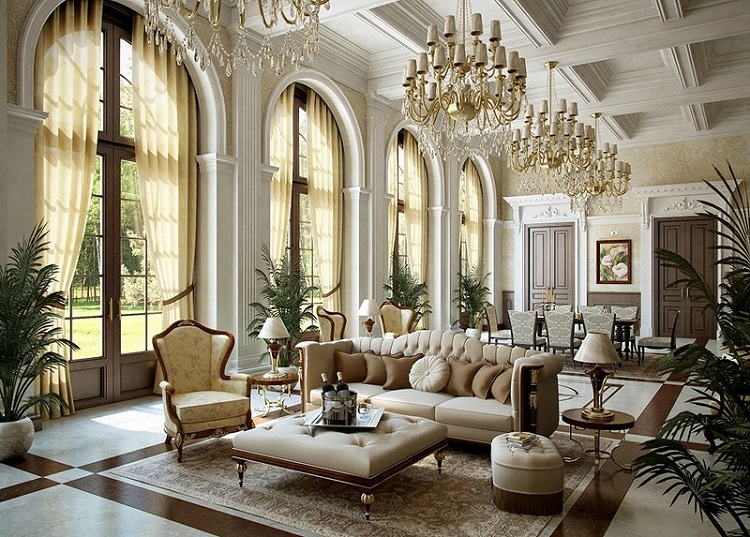 To buy the most stylish crystal chandelier, you can visit Classical Chandeliers. Here you can find some of the most enticing designs and patterns.